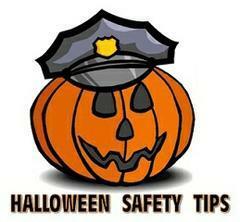 In an effort to ensure a safe Halloween, South Brunswick Police Department is providing safety tips and a reminder of the Township curfew. Never send younger children out alone- they should be with a parent, guardian, or another trusted adult. Don’t let children enter a home unless you’re with them. Hold a flashlight while trick-or-treating. Make sure you’re walking and not running from house to house. Look both ways before crossing the street. Use established crosswalks. Lower your risk of eye injury by not wearing decorative contact lenses. Only walk on sidewalks. If not possible, walk along the far edge of the road facing traffic. d. A party which will be supervised by adults in a residence; (2) Is returning home from any of the events mentioned in subsection (1) of this section; or (3) Is accompanied by a parent. If you have any questions about the safety tips or the curfew contact Community Policing Sergeant Tara Jairdullo at (732) 329-4000 ext. 7419. Starting on or about November 1, 2018 there will be increased truck traffic on Stouts Lane due to construction activity at 20 Stouts Lane. Truck traffic into and out of the site will be approximately 50 trucks per day, and flaggers will ensure safe entry and exit. All traffic will exit the site and travel towards Route 522.